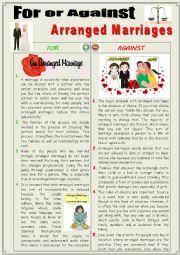 For or Against ARRANGED MARRIAGES. (Debating) THREE pages. A ws to study, revise and drill the FUTURE CONTINUOUS. 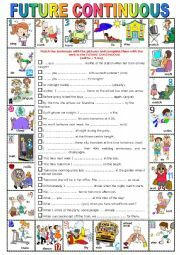 Ss have to match the sentences to the pictures and complete them with the given verbs. Key is provided of course. 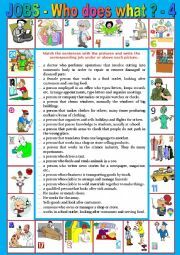 I also added some basic grammar rules or explanations on the second page. All the best to you: Monique. 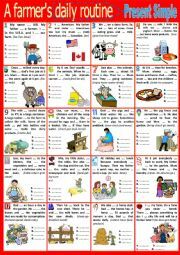 A farmer´s daily routine present simple. + KEY. 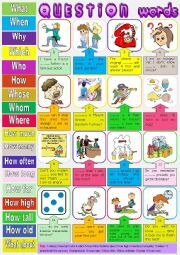 A ws that can be used as a Reading or Test for intermediate level. 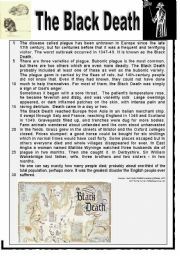 An interesting topic that deals with the consequences of the Plague or Black Death. 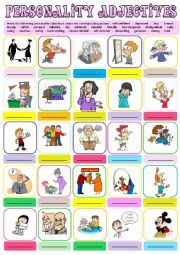 Comprehension questions + Matching the vocabulary ex. Included KEY and teachers´ extras. 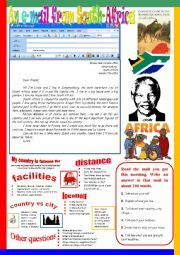 An e-mail from South Africa. 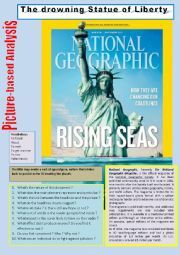 This ws aims at showing my (intermediate and upper-intermediate) ss clearly the kind of performance they are expected to achieve the day of their oral exam as part of their national baccalaureat. I always start with a brief brainstorming session around the subject. 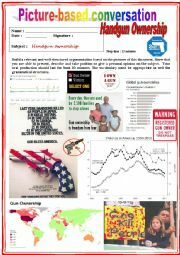 Then I hand out the pictures + questions to elicit further discussion.